The word “Homeopathy”, is derived from the Greek words “homeo” = similar, and “pathos” = suffering. The development and popularization of Homeopathy is credited to Samuel Hahnemann, a German physician. In the early 19th century, he developed the concept of healing based on the principle of ‘Similia Similibus Curentur’ ie. ‘like cures like’. What he also ascertained was, that disease is not localized, but affects the whole being. Homeopathic treatment is both holistic and individualistic. No healing can be complete without holistic attitude. Hahnemann believed that there is a dynamic life force within each of us and it is at this level that both disease and healing occur. Disease is the disturbance of this force unique to each individual. Since each person’s reactions to the symptoms of a sickness are different, therefore, true healing can take place only with personal treatment (individualization) of each case. Homeopathy therefore relies on understanding this uniqueness of the person to stimulate healing forces. The problem of antibiotic resistance and developing new drugs for new strains is also not there with homeopathy, as it has nothing to do with the organism, but with the vital force to take action against the organism. 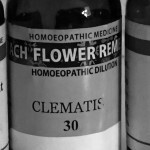 Homeopathic remedies are so diluted that hardly any of the original substance remains in the dilutions, yet their effects are powerful against both acute and chronic disease but with no toxicity of the original substance. Moreover all homeopathic medicines are natural, easy to administer and above all without any adverse effects. 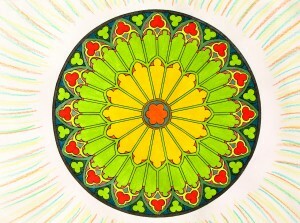 The patient’s major contribution is to keep a note through self-observation of changes, especially about unique peculiarities, to discuss with the practitioner during each visit so as enhance the chance of healing. 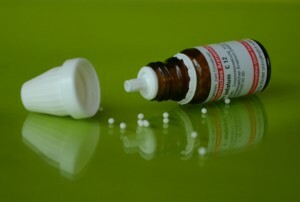 Homeopathy is very popular in Europe, UK, South America, Asia, and Africa. In the United States, in the late 1800s and early 1900, Homeopathy was very popular and in fact had many hospitals. It is once again experiencing an explosive resurgence as part of the movement toward Alternative medicine. Homeopathy as a system is most suitable in the treatment of chronic sicknesses. It has an established reputation in the treatment of children, skin, joints, emotional, allergic and other complaints of the old and young. Had it been a treatment based solely on the placebo effect, as considered by many critics, it would not have enjoyed such popularity for so many years, if it did not have the capacity to heal. Even in life threatening illnesses such as heart attacks, Homeopathy could be useful in dealing with some of the physical and psychological after-effects of a heart attack that sometimes arise once a cardiac patient has been discharged from the hospital. It was in 1872, Dr. Wilhelm Schuessler, a Homeopathic physician, started prescribing these 12 essential salts to his patients. He believed illness was often related to a lack of one or more of these salts and supplementing the salts to the patient would lead to healing. He believed that giving the mineral salts in large amounts could destroy the function of healthy cells therefore, he chose to dilute the salts (through a process called trituration). Thus these salts are also known as Schuessler cell salts. The cells of our body are mostly made up of water. They also contain small amounts of organic and inorganic material. Properly nourished cells provide us with the building blocks of health. ‘Cell salt’ therapy attempts to restore the proper balance of the inorganic salts in the cells by providing these salts that occur in human cells. 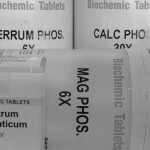 Cell salts are complementary to homeopathy. Flower essences are liquid tinctures made from all sorts of flowers. The essence contains a kind of liquid tincture of the plant’s life-force energy in addition to the healing energetic patterns possessed by the plant. 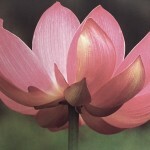 While the Bach Flower Remedies specifically aim at releasing mental and emotional imbalances in reconnecting the personality with the higher self, there are now many newer flower essences that work by providing a wider range of therapeutic actions upon the physical as well as the spiritual bodies. If both methods i.e. Homeopathy and Flower remedies, are given in combination, they complement each other and yield outstanding results. These combined effects, are most effective in the treatment of chronic sicknesses or milder chronic discomfort that may originate in mental/emotional imbalance. In all, Bach found thirty-eight flowers whose liquid tinctures came to be known as the Bach Flower Remedies. Bach believed that his flower remedies would not only neutralize negative emotional- and mental-energy patterns but also infuse positive vibrations associated with specific virtues into an individual, such as the virtues of love, peace, steadfastness, gentleness, strength, understanding, tolerance, wisdom, forgiveness, courage, or joy. Herbalism, also known as phyto-therapy, uses plants and plant extracts for healing purposes. Modern medicine recognizes herbalism as a form of alternative medicine. Herbalism takes a holistic view of health, emphasizing a balanced diet, physical fitness, healthy lifestyle, hygiene and body care for a disease-free, and healthy life. Like homeopathy, herbalism also treats the individual and not merely the disease. All remedies are based on the inherent healing properties of natural substances—such as plants, vegetables, fruits, herbs, and are, therefore, safe, effective and affordable. Reiki is a form of hands on healing, with its origins in India and the East dating back many thousands of years to the time before Christ and Buddha. Reiki (pronounced as Ray-key) is a Japanese word meaning Universal Life Energy. It is holistic and affects all levels of body, mind, and spirit by stimulating a person’s own natural healing abilities. The blocked emotional and physical elements that lead to illness and disease are cleared. What makes Reiki unique is that it incorporates elements of just about every other alternative healing practices such as homeopathy, chakra balancing, naturopathy, crystal therapy, meditation, auras, aroma-therapy, etc.